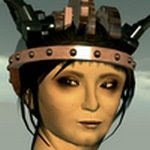 Tezcatlipoca Bisiani sent me a video this morning, along with a note that reads, "This is what Second Life® should be like, (and sometimes is)." For those who have never been a part of a virtual world... and for those of you who have and are sometimes frustrated by the technical inefficiencies, here's an inspiring glimpse at what content creation is like when everything rocks and rolls. Possibly one of the most beautiful videos i have seen in my history on the internet. Amazing and beautiful... and exactly what SL can be like when everything is flowing in sync. Thanks for posting this... best thing I've seen in ages. I like that not only does it show a beautifully in sync virtual world, it also shows something that virtual worlds may be able to do someday. It was beautiful and made me cry. Wow, so beautiful; it brought tears to my eyes. I think virtual worlds will be there sooner than many think. Oh, so lovely! Thank you for posting! Should come with a warning; made me cry buckets. Fantastic use of cgi. Simple and effective message at the end, it's not about the use of technology it's about the reason to use it. Wonderful story and beautifully portrayed, the joy of creation and the value of our humanity. 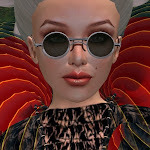 Yes great to see what SecondLife does inspire-Thank you so much Bettina for this! This was a beatiful and amazing video. We can only hope. And this, indeed, is why we do what it is we do. It's things like this with which the blind can be led. Everytime I want to give up on my dreams of helping people with virtual worlds, something like this pops up. Beautiful, emotional, and an extremely practical and heart string pulling use for this technology in the future. This really captured the essence of what it feels like to be a builder and with an incredibly moving story. The joy and sorrow on the man's face were beautifully portrayed. nice "coincidence". I just found this video today on my own and was thinking - "hey, this *is* Second Life"... glad this vid is getting seen. i posted it on my FB page. Unbearably elegant and beautiful. We dream our future. Thank you Bettina. Bettina, thank you so much for bringing this video to my attention. After I finished crying, I thought about how powerfully it demonstrates the value and ability of virtual worlds to give us "real" experiences, especially when those experiences are impossible in "real life." And that's exactly why I'm so passionate about Second Life. Here's a thought: Whether we will be able to rez buildings out of prims in RL, I don't know (although even there I leave the door of my imagination cracked open), however with ubiquitous computing and nano technologies reaching the level of sophistication that they seem to be doing, not only may virtual worlds become like this one day but the Real World as well. Damnit, been watching the video in this article for weeks since it was first posted. It is such a good video xD, brought a tear to my eye at the end! I came back here after spotting it on MetaFilter! Yup - this is the truth of building in Second Life (on a good day). And it's wrapped in the other key message, which is that we use these worlds, as we do any tools of art -- to find one another, and pull one another out of darkness, into light. There is always something new to experience that can inspire us, and give us a child-like sense of wonder, be it in RL or SL. If films like this can't make one see and feel that, then nothing can. Beautifully done! breathtaking and just simply amazing. With eyes wide open, and minds that let it all out, the endless possibilities are around us. May all of us hope to somehow be immersed exactly there, if not today, then soon. WOW! It was so beautiful video. Thanks for sharing with us.